While considering the matter of storing wine effectively, it is important for wine lovers to remember that not all wines can age gracefully. Some wines are best drunk fresh. Most red wines taste better after a long sojourn in the dark depths of a cellar. On the contrary, few white wines need to mature. Whatever the type of wine, a brief period of rest, after bringing it home and before uncorking it, does the wine a lot of good and enhances its taste. The Romans get the credit of discovering the first effective method of storing wine. Their method was simple — using corks to keep wines in an air-free atmosphere. Unfortunately, the Romans’ precious knowledge of wine storage was lost when the Roman Empire went into decline. The cork was rediscovered during the seventeenth century and an enterprising Englishman, by name Sir Kenelm Digby, discovered a way to make thicker and stronger glass bottles. The cork was united with this bottle and the practice of allowing wine to age in bottles began. Collectors of fine wine need to remember that they are dealing with something alive that reacts strongly to its environmental conditions, such as temperature, humidity, calmness, darkness, cleanliness, and ventilation. Even the angle of the bottle has an important role to play. Store the bottle horizontally; the wine moistens the cork and prevents the entry of air. Wine should be kept in an environment where temperature is constant and stable. Maintain the temperature anywhere between 40°F and 65°F (5-18°C). Fluctuations in temperature damage the wine and age it prematurely. Moreover, a fluctuating temperature damages the cork and its ability to keep the air out. Humidity does not affect the wine itself in any way. However, excess humidity can cause the rotting of the labels, cork, or the cardboard boxes in which the wine is packed. On the other hand, insufficient humidity can cause dryness in the cork, which in turn, destroys its elasticity and ability to prevent the entry of air. The recommended humidity is 70 percent. Light absolutely destroys wine. Ultraviolet light can penetrate the darkest of bottles and give the wine an unpleasant odor. Remember that sparkling wines are more sensitive to light than any other type. So, keep the wines in a dark place. Wine loves quiet and calm. Any vibration is capable of destroying its worth. 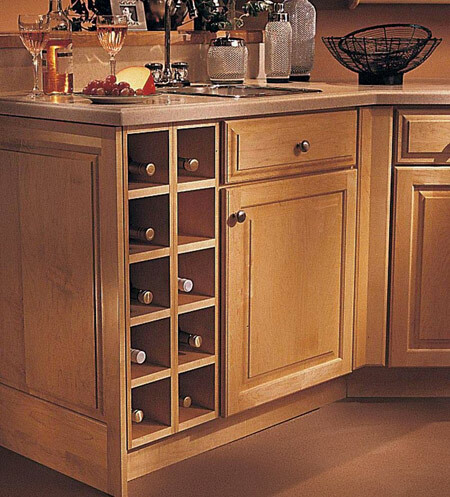 Arrange the bottles in such a way that you don’t have to change the position of the bottles to find a particular wine. Wine, once laid to rest, should be at rest till it is time to drink it. 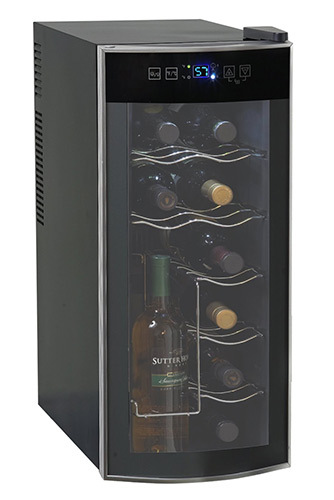 Keep your wine away from heavy foot traffic, laundry machines or any vibrating equipment. 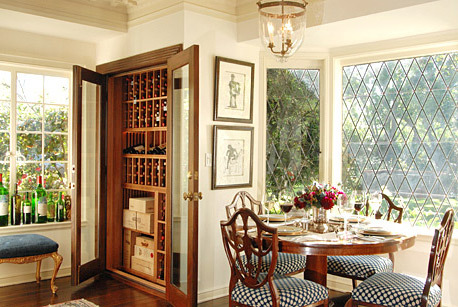 Wine cooler/refrigerator is one of the best ways to ensure your wine is stored properly. It will keep the recommended temperature constant. Wine is a perishable liquid, just like food it oxidates and gets spoilt, unless stored properly by the time you get around to opening the bottle it is most likely to turn into vinegar, and that is quite upsetting if the bottle is of good expensive wine gifted by a friend. The perfect place to store it is in a cool temperature, in a dark damp place, that is why cellars are usually the ideal place for storing the stock of wine. Unless such a place is found for keeping your stock of wine, we should be ready for the wine to turn sour and bad by the time we have it. Do we keep the bottle on its side? The biggest problem with storing of wine is oxygen, just like other foodstuffs, wine is perishable and subject to oxidation. The bottles are usually sealed with a cork which is sot and pliable and can expand or contract, but if the bottle is keep upright, the cork will not be moist anymore and the pliability of the cork will be replaced by a dry wooden piece which will not hold the bottle neck quite at correctly allowing the atmospheric air to touch the wine and thus spoiling it. Thus an ideal position to store that bottle is on its side, for a longer storage period, we need to see that the environment is controlled and humid at all times so that the cork does not dry out. There are two types of consumers, and their needs of storage of wine is also drastically different. One is the casual consumer, who will need to store a bottle for a maximum of around 7-8 months, but if you are a wine investor, investing in expensive wine and plan on keeping it for quite some time, then you needs are going to be dramatically different from a casual wine rack. The casual drinker will be the one which will store its stock no more than an year, if a bottle is not stored for more than an year, then it can be stored quite easily, all we need to do is keep them at a dark place away from sunlight in cool temperature and if possible on their side. A wine rack is ideal for this. If your aim is to keep the bottles of wine for quite some years, then you can be referred to as a collector and the way you store your wines has to be a little more demanding. If you are storing the wine as a possible means of trade later, then it is even more imperative that the storage be correct because an experienced eye will easily gauge the way the wine has stored and whether it has increased in value or depreciated in the process of it being stored. The demands of a good wine storage unit is a temperature controlled environment, lots of humidity i.e. the humidity level have to be above 50%, even though such levels might spoil the labels, but the wine will remain good and keeps its flavors intact as well as keep the cork tight thus eliminating the possibility of its drying out and of the oxygen getting in. Keep high humidity levels for long term storing. 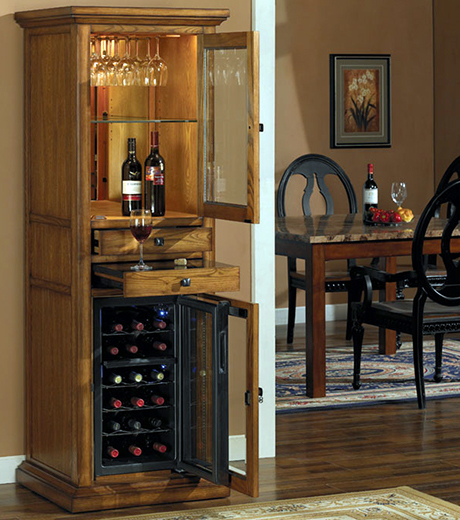 Store wines in cool place with as little temperature fluctuation, as possible. Some of the better wine cellars have wine air circulators to prevent mould, and dampners to cut down the vibrations.